Have you ever seen a haboob? Can you tell the difference between a UFO and a lenticular cloud? This calendar -- from The Weather Channel, cable television's only national all-weather network -- has the answers to these and many other fascinating facts and trivia tidbits. Fantastic photography, selected and approved by professional meterologists, chronicles extraordinary weather conditions around the globe. The Weather calendar also shares significant weather history, from the coldest recorded temperatures to the most devastating tornadoes on record. 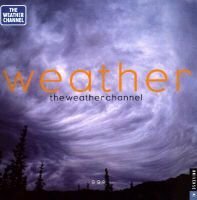 With the Weather calendar, 1999 promises to be a year of extreme weather for the millions of Weather Channel watchers -- and for anyone interested in our natural environment.